Dismantle the patriarchy. Dismantle classism. Be intersectional with this book. Feminism should come in more than just white. Expand your feminist radar with this powerful dialogue from a powerful woman. 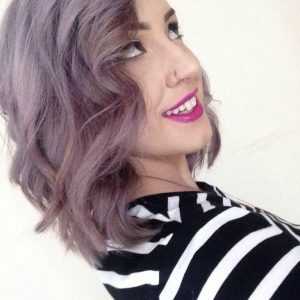 Learn from Davis; she is the hero we need right now, and she has been doing the hard work for so long. Lindy West was a fabulous as a writer at Jezebel. Now, she is blessing us with a wonderful book to help us be proud, cool, and unapologetic feminists. It’s time to dive head first into feminist theory. Bell breaks it down for us to show us how applying the tenets of feminism across our society would greatly improve the lives of literally everyone. Lorde is here to save us all. She is a strong, powerful, black, lesbian here to educate us with her deep and thoughtful essays and speeches. This memoir has it all. Join Mock on her journey that includes her experiences of being poor and multicultural in addition to transitioning as a teenager. Want to understand more about the history of feminism? This is a great place to start. When it was published, this collection of writings helped jumpstart the third wave of feminism. This is a must-read. There’s never a time better than now to begin deepening your understanding of feminism, its history, and how it effects your life everyday. Here’s a list to get you started. Enjoy! For more than a year our Board of Directors has been busy crafting a new five-year plan. In collaboration with Maharishi School faculty and staff, they have laid the groundwork to grow and sustain Maharishi School well into the future. At our annual opening Convocation, we all received some excellent news about the campaign: internationally acclaimed film director David Lynch has agreed to serve as its Co-Chair …starting with his own $50,000 donation! 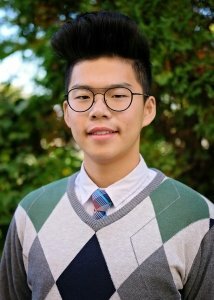 Parent Juliet Jarmosco captured the excitement and appreciation of David in this video. Dear Maharishi School Students, Teachers, and Staff, thank you so much for sending that great video! It thrilled me to my soul! What a great blissful group! I love Maharishi School! Hip Hip Hooray! 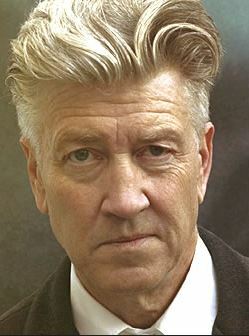 David Lynch has practiced Transcendental Meditation, the technique that students, faculty, and staff at Maharishi School all practice, since 1973 and has never missed a session. “Twice a day, every day. It has given me effortless access to unlimited reserves of energy, creativity and happiness deep within,” David explains. In addition to his support of Maharishi School, Mr. Lynch launched the David Lynch Foundation in 2005. The foundation raises funds to bring TM teachers to those who need the practice most: veterans with PTSD, students in under-performing schools, women who have escaped abusive relationships, prisoners, and many others around the world who have benefitted from the stress reduction offered by Transcendental Meditation. We look forward to working with Mr. Lynch over the next five years and look forward to working together to promote Maharishi School, as well as to spread the stress-reducing practice of Transcendental Meditation to everyone who can benefit from it, worldwide, which—let’s face it—is just about everybody! Are you challenged by morning routine and bedtime hassles, power struggles over homework and chores, or by any area of parenting where you feel like you’re not quite connecting with your child? 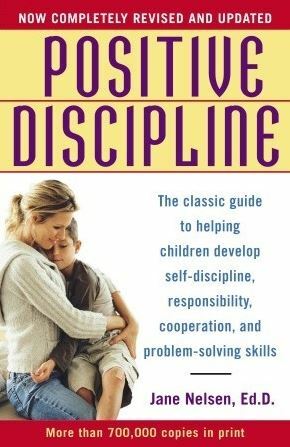 Maharishi School is pleased to announce that our Positive Discipline Parenting Class is returning for its sixth session. The class will be team-taught by Lower School Head Laura Bordow and veteran Montessori educator and Preschool Lead Teacher Rebecca Bellonci. Between the two of them, Bordow and Bellonci have decades of parenting and teaching experience and are excited to share what they have learned through the years about positive discipline. The seven-session class will empower parents with common sense solutions, offer a fresh perspective on what motivates kids, and convey how to increase communication and cooperation. Positive Disciple is filled with non-punitive, respectful methods that incorporate kindness and firmness into parenting, help parents get to the core of their child’s misbehavior, and bring more joy into the home. This class is open to the entire community, and the cost has been kept to only $20 for the seven-week session. Your fee also includes a copy of “Parenting the Positive Discipline Way”, as well as many useful handouts and reference sheets that can be used again and again whenever challenges arise. This session begins on Tuesday, October 4th and lasts from 1:00-3: 00 pm, in the Maharishi School Parlor. We will offer an evening course in early spring. To sign up, please email Rebecca Bellonci at rbellonci@msae.edu or sign up in the Maharishi School Central Office.